An ottoman used as a coffee table, is actually one of my favorite decorating techniques. It’s a great way to have extra seating in a room, so they work really well in smaller homes. They also add a softness to a space, so if you have a lot of hard edges or your room is “all legs” (meaning you have no slipcovered furniture) they can also help even that out. Also, if you need a larger size coffee table which can sometimes be hard to find, an ottoman can often be ordered in a custom size to get exactly what you need. And of course, they are super comfortable to put your feet up on! For that reason, coffee table ottomans work especially well in family rooms. 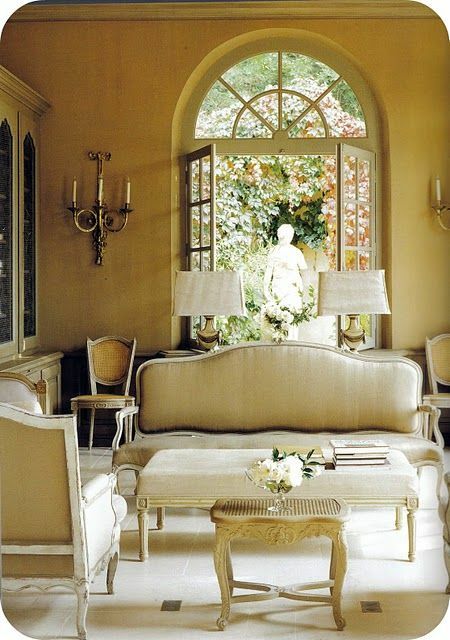 One of my very favorite rooms by designer Brooke Giannetti. I adore this linen covered ottoman. And it’s such a great size! 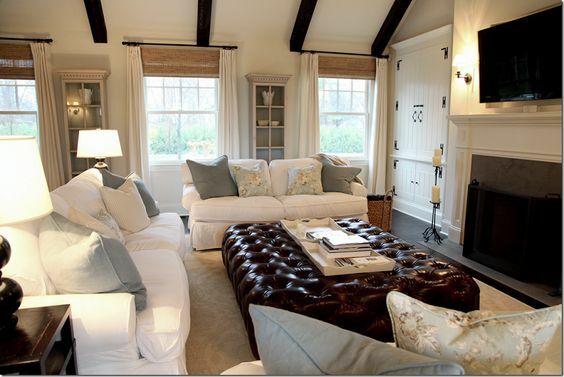 Another favorite room with an adorable linen ottoman. Via Atlanta Homes. 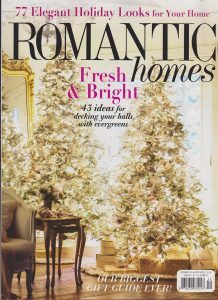 Kerri Russell’s Brooklyn home featuring a coffee table ottoman, via Elle Decor. 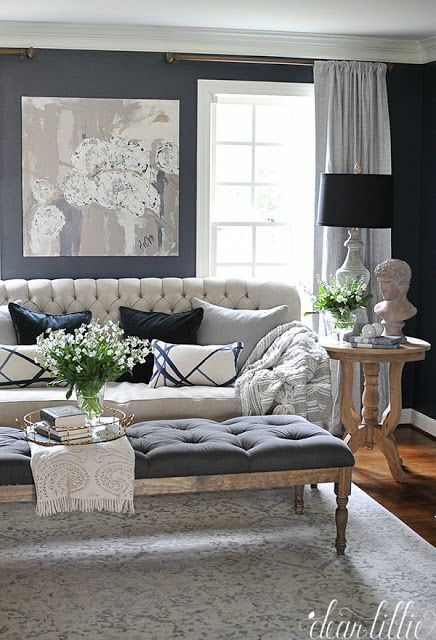 Love this room from Dear Lillie blog with the dark walls and the cute charcoal ottoman. The pop of color used here in the ottoman ties in those blue built-ins. 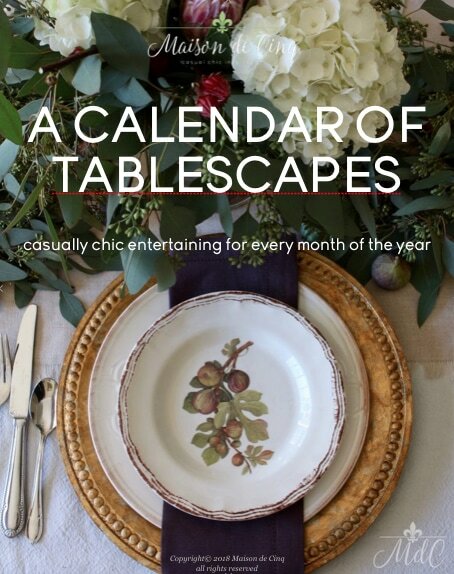 Via Houzz. 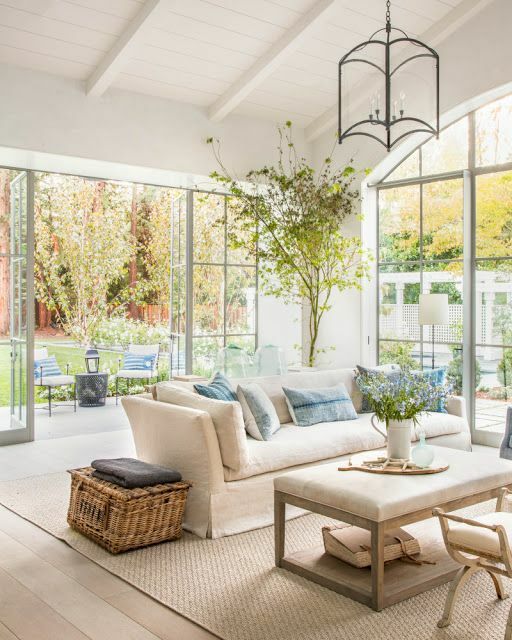 Garrison Hullinger Interior Design via Zillow. Another room by Brooke Giannetti, this one using a coffee table ottoman hybrid from her own line. 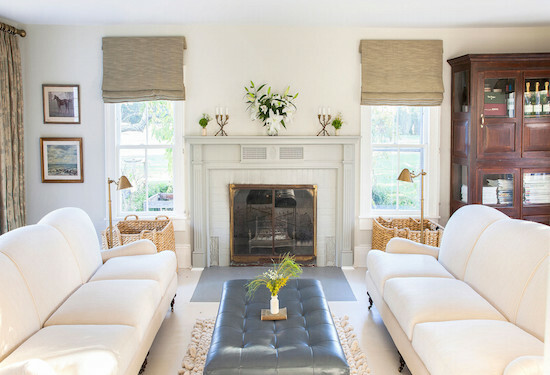 Love this cute huge leather ottoman used as a coffee table in a cozy family room! This adorable living space is from my friend Kim at Savvy Southern Style. 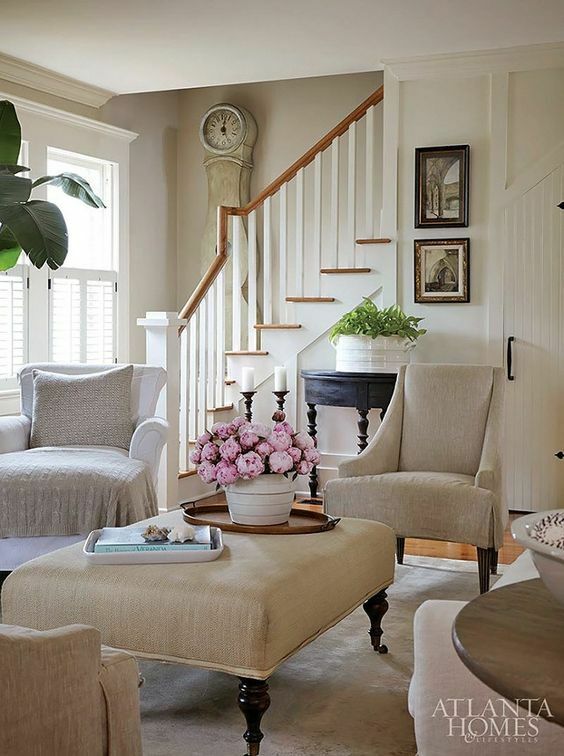 I love the oval shaped ottoman she used here. So charming! And how cute is this little linen ottoman? 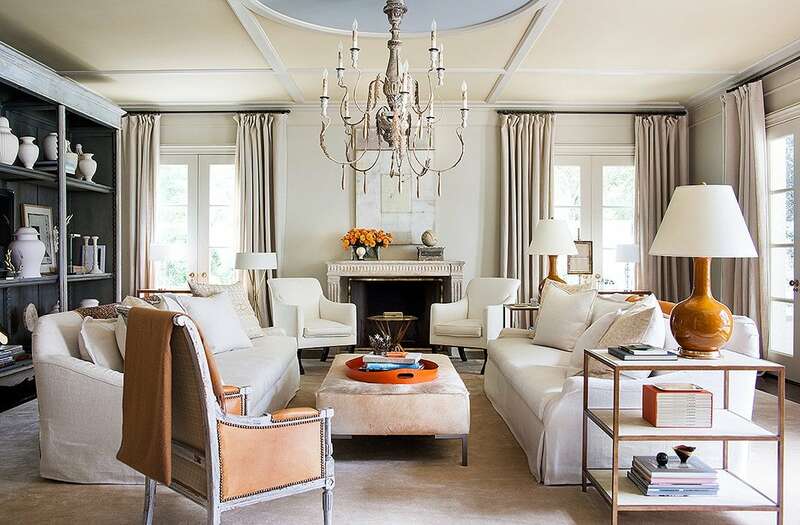 Love this fur ottoman used by Suzanne Kasler in this stunning living room. (also seen in my Orange Crush post). Such a cute and comfortable room. Via Lonny. And one of my favorite things about using an ottoman for a coffee table? 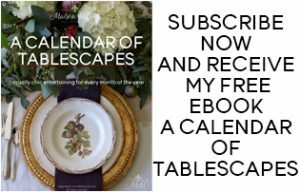 It can work in literally any decorating style you choose! And because it’s been a trend for a few years now, there are lots of them to choose from. I had a hard time narrowing it down for you! Sheila–loved the ottoman post!! I have a round leather one from Crate n Barrel. I throw a round PB tray on it when company comes and we are all set!! Thanks so much Carol! I’m so glad you enjoyed it! I truly think it’s just an amazing way of adding prettiness, AND practicality! And extra seating! And I love that you have a round one, they’re especially cute!